Typically by about mid January each year I have fully dispensed with my New Year’s resolutions. Because I am an optimist I typically set pretty high and noble goals. I figure that it is not physically impossible to achieve my objectives and that if I really put my mind to achieving them, I can. I don’t think that this logic is off. 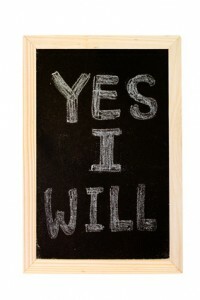 When I focus on something and I push myself, I am typically able to get it done or at least make some strong progress. My problem tends to be one of focus. I get distracted by problems, other opportunities or other pressing circumstances. I remind myself of my goals for the first few days after I set them and then guilt and forgetfulness swallow them up and before I know it, they are gone, relegated to my pile of abandoned good intentions. If I have improved at all in recent years it probably would be in the area of self-awareness. I am beginning to recognize my own patterns, rhythms and rationalizations. So after I set my goals for this year I decided to be aware of how life would distract me from them. Perhaps if I recognized the interruptions, discouragements and fluctuating willpower that tend to prevent me from achieving my goals, I could bring myself back to center and to a sense of focus. The first week of January I tried repeatedly to wake up early enough to get all this done. Each morning I rationalized going back to sleep and none of the above happened. The best I could do was not let go of the goal. I WAS going to achieve it all tomorrow. My first breakthrough was in the second week of January when, on Monday, I was up early enough and I got the exercise done. Then I got the flu and the rest of my week was shot. But I reminded myself repeatedly of my goals and that, as soon as I was better I had to take another stab at it all. Which brings us to this morning. I was in the gym by 4:30 AM, working on this post by about 6:30 and I’ve been able to put some thought into how I want to spend my day. It feels good. It’s too early to tell if I’ll be able to actually establish a habit of early rising and tackling my goals. I’m sure that it will, at best, take some time to gain some consistency. But now that I’ve made my goals public, maybe focus will come a little more readily…. Jammie is the reason for the resolutions being kept. Just keep yourself on Bjorn time and you will do fine. How are things? Doing better? Perhaps the issue is not the goals, but the number of things which u wish to accomplish at such an ungodly hour of the day! It’s not technically day time until 6 in my book. Anyhow, exercise in the morning does make a dIfference for the day I hear, but I wouldn’t know because I sleep instead :). However, I must say I am impressed with ur efforts. Wow 4:30am B? I get up at 5:57am every day and I don’t even know how that happens. What time do you go to sleep??? I haven’t set any New Years Resolutions… for about three years! I feel AWESOME.